As my time has recently opened up into a whole new world of exploring, friends, and new places, it was only appropriate that during the National Park Service’s centennial two friends were hoping to drive their way across the vast expanses of the U.S. in hopes of spending time in some of the most iconic parks out there. Of course I immediately said yes to accompany them. The parks, especially the classics, have always felt like postcard viewpoints, packed family road trip stop-offs, jam packed roads in and out of the visitor’s centers; It was time to change my mindset of that. I wanted to approach these trips with a new perspective of the off the beaten path spots, the backcountry gems, and of course, allow a proper amount of time in each for really enjoying what these spaces have to offer. During the first trip I picked up an amazing little item at Back of Beyond Books in Moab, UT. From 1853 titled Colton’s Guidebook Through the United States of America – it has some amazing commentary on the great west that was still very much an unknown at the time. 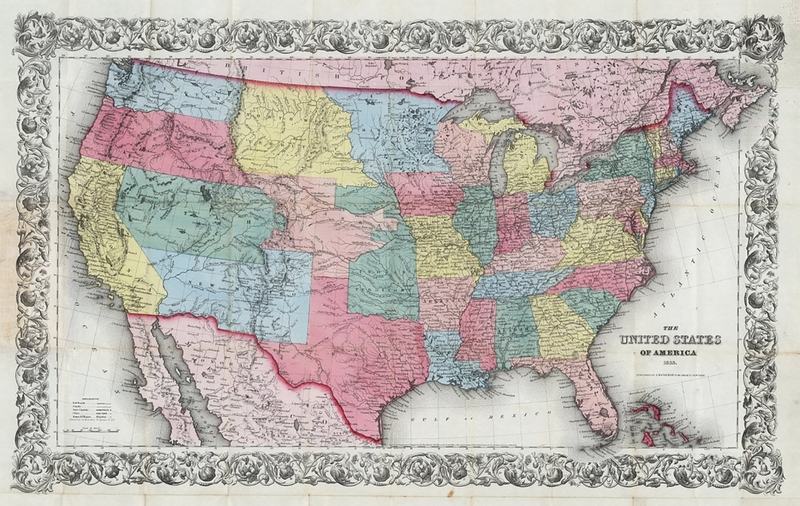 Really amazing keeping in mind the U.S. was only 31 states back then, the west was “territories” including Utah, New Mexico, California, and Oregon, some just recently acquired. To start this endeavor, I had the magnificent fortune to “plan out” a trip to the great National Parks of the American Southwest with my long time friend Megan, a fellow outdoors enthusiast based out of Austin, TX. Our trip was a bucket list of must-dos that we have been wanting to hit up for a while that turned into a loose structure, that went on to a sort of “Let’s just see what happens” kind of adventure. The perfect kind. The mixed framework had us tent camping at parks with a general plan of 12 days or so. I booked my ticket to Las Vegas, prepped my gear, flew out early, and landed knowing full well the area was at record temps. The scope of the trip was unknown and it was time to fill in the gaps. It was a fast moving, at the same time slow and immersive, with some pretty crazy ups and downs along the way. Here is the breakdown of the days that followed. I hope this can give you some resource for your next trip while providing a little visual zen in some of the most spectacular corners of the U.S. – enjoy!